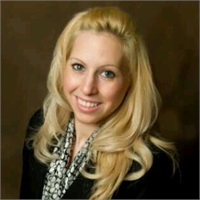 Ms. Cassandra M. Tonello joined the firm in 2010. Her responsibilities include coordinating all marketing, social media, communication and business development activities related to MWA as well as designing marketing and communication campaigns and conducting market research. Cassandra also provides an additional layer of client service, making her a trusted point of contact for communications and client interactions. Ms. Tonello has attended Rhode Island College, where she studied psychology, and the University of Phoenix, where she studied finance.